Like many in his generation, Saavedra faced slim pickings for jobs after college, a fate that has left millennials with a wealth gap that economists fear they won't ever recover. It has also left them more skeptical about government, worried about the future and more activist. Saavedra, 28, who is undocumented, joined the Occupy chapter in Ohio, and now works at his family's restaurant in the Bronx in New York City, where he is active in immigrant rights campaigns. Laura Banks, 31, never had any interest in demonstrating, but also has bad memories from her early 20s of going to job fairs where there were almost no jobs. Friends lost jobs and her father, an attorney, had trouble finding clients. "We felt very cornered. We feel like we're behind," said Banks, who now works as a project manager for Express Scripts in St. Louis. She married last year but has doubts about having kids, in part due to fear of another financial crash. Saavedra and Banks are part of the millennial generation, which includes people born between 1980 and 1996, now the biggest cohort in the United States, a status that makes marketers salivate. But the group also is burdened by high student debt loads, that with the scarcity of jobs during the Great Recession has resulted in lengthy post-collegiate sojourns in their parents' homes and lingering doubts about the future. The group is at risk of becoming a "lost generation," the Federal Reserve Bank of St. Louis warned in a report in May that tracked how the cohort's wealth accumulation lagged historical norms for people in their 20s and 30s. Although it spared no generation, the 2008 financial meltdown was more calamitous for young adults because there was no way to recoup the debt they took on for education, cars and credit cards. "Because none of these types of debt finance assets that have appreciated rapidly during the last few years -- such as stocks and real estate -- they received no leveraged wealth boost like that enjoyed by the older cohorts," the report said. 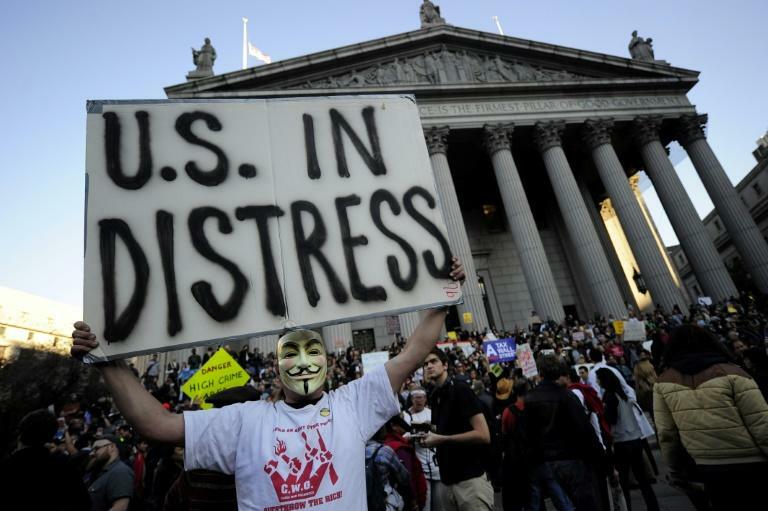 Crushing student debt was among the rallying cries of Occupy Wall Street, a movement led largely by young adults who blamed the crisis on corporate greed and a rigged system that benefited the "one percent" at the expense of everyone else. 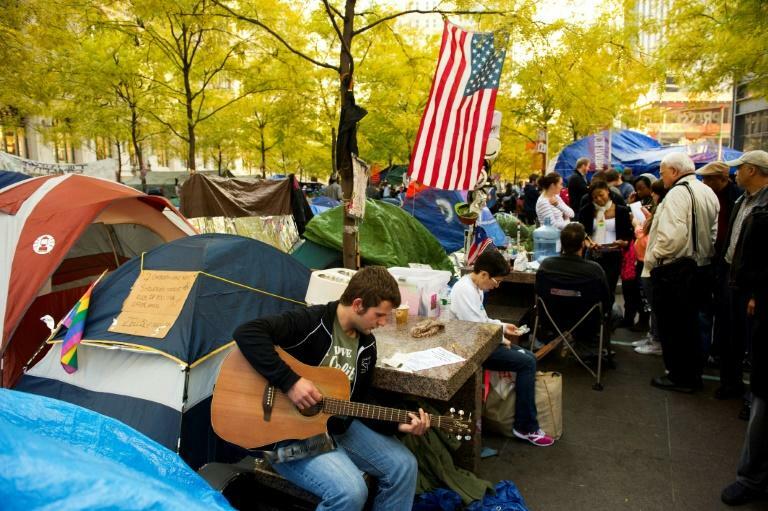 The group gained its greatest visibility during the almost-two month occupation of Zuccotti Park in lower Manhattan before police evicted activists and removed tents in November 2011. Although much more low profile today, Occupy Wall Street still has a presence on Twitter, where it touts progressive environmental policies, criticizes gentrification and lambasts President Donald Trump over immigration and other issues. But the movement and the crisis have had long lasting impacts on the millennials' outlook. An April 2016 poll released by Harvard University Kennedy School's Institute of Politics showed that just 41 percent of 18 to 29-year olds supported capitalism, higher than the 33 percent that supported socialism, but a low enough number to turn heads. John Della Volpe, director of polling at the Kennedy School, said millennials remember how the crisis harmed their parents and others who played by the rules. Della Volpe senses broad support among young adults for "compassionate capitalism" to address glaring problems including gross inequality and a compromised campaign finance systems. "I think they have a different definition of the American dream, which is less around economics and more around flexibility and happiness," he said. Major political parties have largely failed to ignite millennial interest, with two exceptions, Barack Obama's successful 2008 campaign and the 2016 campaign of Bernie Sanders, the white-haired Socialist who gave Hillary Clinton an unexpectedly tough battle for the Democratic nomination. Support for Trump is somewhat lower among millennials compared to the broader US population, but some of the same trends hold, Della Volpe said. For example, Trump polls best among white millennials without a college degree, mirroring the broader US trend. Democratic socialists scored an unexpected victory in New York in late June, when 28-year-old Alexandria Ocasio-Cortez, a Sanders supporter, unseated 10-term Democratic Rep. Joseph Crowley, in the Bronx in New York City. Ocasio-Cortez told The Daily Show's Trevor Noah that she favored greater taxes on the wealthy and livable wages for workers as part of a "moral and ethical economy." "Us as millennials, we came of age during a time when 9/11 happened in middle school, the financial crisis happened in college," she said. "We have never really known or grown up in a time of economic prosperity." Saavedra helped organize an event for Ocasio-Cortez at his parent's restaurant in the South Bronx, La Morada, which is not far from her congressional district. The restaurant is staffed with undocumented workers and proclaims its solidarity with its immigrant-rich neighborhood with a "Resiste" ("Resist!") sign on the exterior. The family was able to rent the space in 2009 due to vacancies amid the crisis -- one positive from that period, Saavedra said. While he may never be able to vote, he plans to remain politically active. "If there's anything that my organizing has taught me it's that there's a lot of other ways to petition and to march and to rally that make political change, even if it's not in a tangible vote." Banks, meanwhile, has low expectations for government, especially after the 2016 presidential campaign between Trump and Clinton, which she called "the most toxic, hateful thing I've ever seen." And she took away lessons from the crisis on personal finance. She was shocked when she and her husband received approval for a mortgage of four times the amount they wanted, but they rejected the sum. "When the housing market crashed, what I saw was a lot of Americans living beyond their means and a lot of banks acting irresponsibly," Banks said. "I'm really scared to have kids," she added. "I'm afraid the market will collapse again in the next couple of years."